Lauki ka halwa or dudhi halwa – a luscious rich creamy traditional Indian sweet made from bottle gourd. 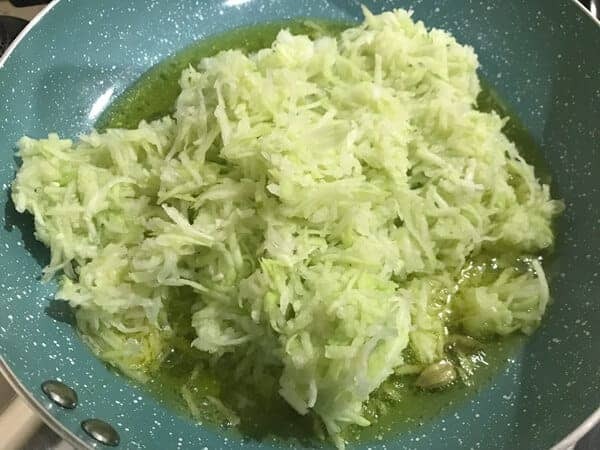 To make lauki halwa recipe, grated bottle gourd is usually simmered in milk and ghee along with khova, sugar and nuts. 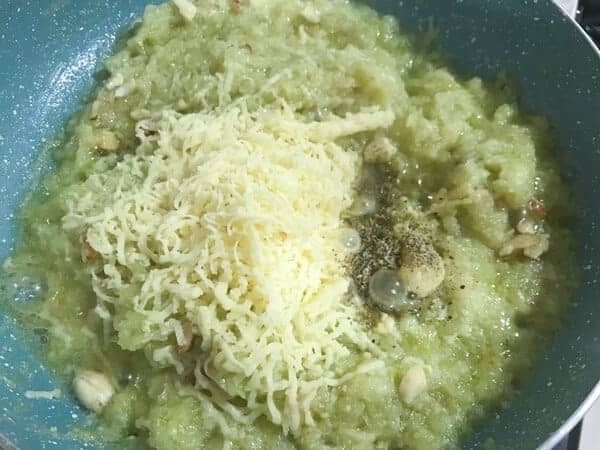 Indeed, the bottle gourd halwa is an easy dessert recipe with a fantastic outcome which will be licked off in minutes. That soft crunch of grated lauki coated with creamy grainy khova milk in every bite of doodhi halwa is unmatchable. So, let’s start and see how to make lauki ka halwa recipe step by step.Do you know that we can make dudhi ka halwa recipe in many ways? Yes, first method is of making lauki ka halwa with khoya (khowa) and milk, the one I am sharing here below. 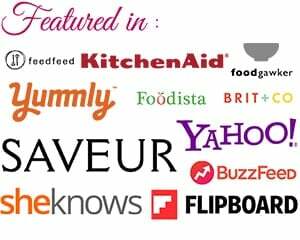 The other way is of making lauki ka halwa without khova and with condensed milk or milkmaid. Truly speaking, making loki ka halwa is not at all an onerous task. Particularly, this dudhi halwa recipe, even an amateur cook can easily make it. 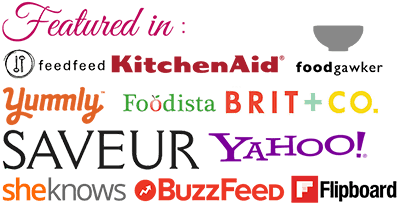 Indeed, it does not require any expert cooking skills. Bottle Gourd, a versatile vegetable that goes into any dishes like dal, or as a sabzi or even with meat. Ghiya or lauki or dudhi is hindi word, whereas it is called as bottle gourd in english. So, we call this bottle gourd halwa as ghiya ka halwa or dudhi halwa. In south India, This dudhi halwa is called as Sorekai halwa. 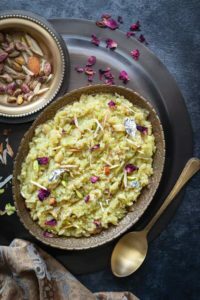 Dudhi ka halwa is a popular sweet we make during festivals or occasions. Even for simple or small joys of life, especially, SSC exam or graduation results or birthdays, vrats, or for serving the guests, this bottle gourd sweet always brings smile on faces. 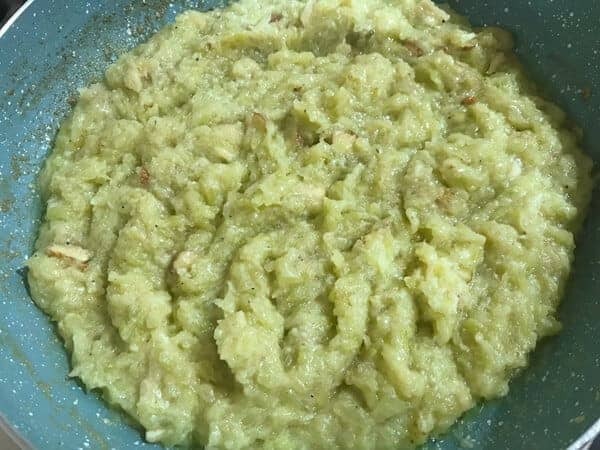 The dudhi halwa recipe requires few specific ingredients and in few minutes you have yummy treat ready. 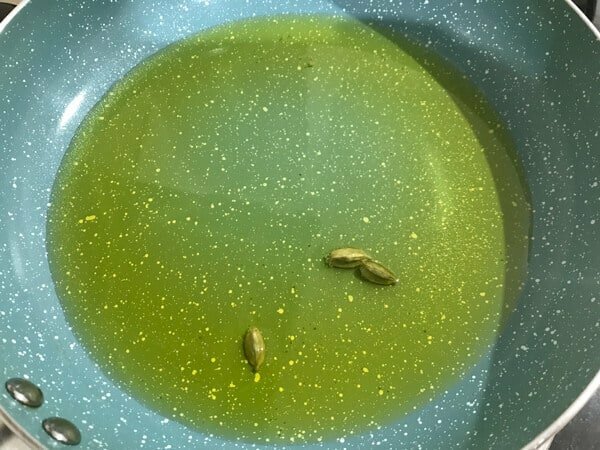 For lauki halwa recipe, we need good tender fresh bottle gourd. Then, we need, ghee, milk, sugar, khova and some nuts. We also need cardamom for the fresh aroma and flavour. If you wish to make lauki ka halwa recipe without khoya, then , use condensed milk instead of it. But, please check for sugar measure also, as condensed milk already has sugar in it. 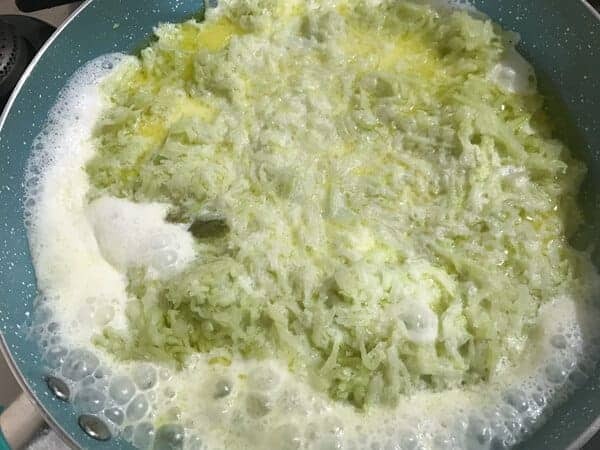 Furthermore, if you want to make halwa with khoya or mawa and you dont have the access to fresh khowa, then, easily you make khova with milk powder. Here is the recipe link to make khoya with milk powder. Always, choose fresh and tender bottle gourd to make lauki ka halwa recipe. If the dudhi has thick hard seeds within, then discard the seeds completely and grate it. 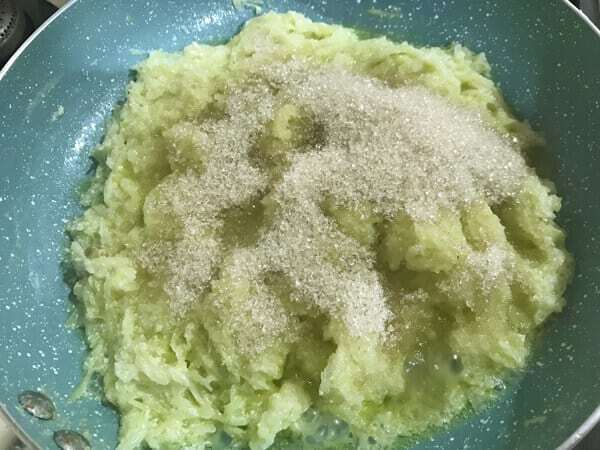 Furthermore, make doodhi halwa as soon as you grate the bottle gourd. The reason being, lauki tends to turn black if left for long time. Most noteworthy, before cooking ghiya in milk, saute it well in ghee. This step give rustic rich aroma to ghiya ka halwa. Lauki ka halwa stays good upto a week in refrigerator, reheat it in microwave, whenever you want relish or serve. Can we freeze lauki halwa? Definitely, yes, you can freeze lauki halwa in a clean airtight container for good 2 months, this is a tried and tested tip I am sharing it here. Whenever you wish to serve it, just thaw it at counter for some time and then reheat it to enjoy. 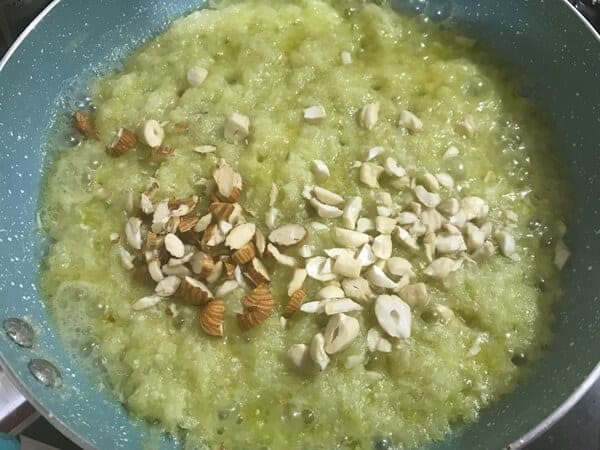 Lauki ka halwa or dudhi halwa or lauki halwa - a luscious creamy Indian dessert recipe made from grated bottle gourd, ghee, milk, khoya, nuts, cardamom and sugar. Here is how to make lauki ka halwa recipe at home. 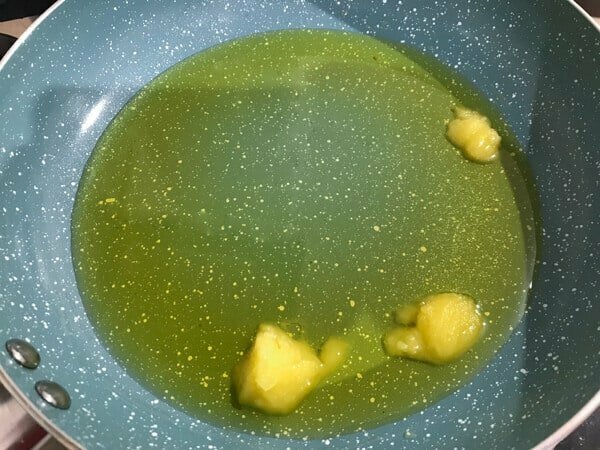 To begin with, first, melt ghee in a pan. Then, add grated lauki and saute on high heat for 3-4 minutes or until it softens further. After the lauki is sauteed well, add milk and stir continuously for 1-2 minutes. When the milk dries, then add sugar and mix well, stir until sugar melts. Finally, add khoya and cardamom powder, stir continuously for 1-2 minutes until khoya blends well to reach the required consistency of halwa. 3. Then, add grated lauki and saute on high heat for 3-4 minutes or until it softens further. 4. Once the lauki is sauteed well, add milk and stir continuously for 1-2 minutes. 5. When the milk dries, then add sugar and mix well, stir until sugar melts. 7. Finally, add khoya and cardamom powder, stir continuously for 1-2 minutes until khoya blends well to reach the required consistency of halwa.